A few weeks ago the Supreme Court handed down an important yet under-noticed case, Williams-Yulee v. Florida Bar, in which a 5-4 majority upheld a Florida law that forbids candidates running in contested elections for judicial office from personally soliciting campaign contributions, even though the state permits such candidates to raise money through surrogates (campaign committees) and also allows candidates to find out who contributed to their campaigns. In the space below, I identify four key takeaways from this “sleeper” ruling by the Court, a ruling that affords important insights about constitutional doctrine and also about the membership of the Roberts Court. 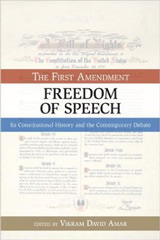 The (unsuccessful) challenge to the Florida law was brought under the First Amendment; the defendant in Williams-Yulee argued that Florida’s ban on personal solicitation was a regulation that singled out certain speech—a personal request for money—because of its content, in violation of free speech principles. 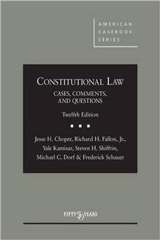 The Court acknowledged that the Florida law was a content-based regulation of political speech (and, as explained in more detail below, thus purported to apply “strict scrutiny” to the matter), but nonetheless upheld the law because of the important countervailing interest in preserving public confidence in the integrity of the judiciary. In holding that public perceptions of integrity should carry the day, the Williams-Yulee ruling stands in contrast to the great majority of free speech cases decided by the Court over the last generation. Since the early 1990s, the overwhelming majority of plausible free speech claims (and the defendant’s claim in Williams-Yulee was certainly plausible) that have reached the Court have prevailed, and expressive autonomy has regularly trumped competing constitutional and societal values. 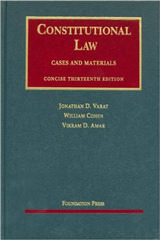 Over the last quarter-century, the Court has invoked the Speech Clause to invalidate federal, state, or local laws and regulations in well over fifty cases, averaging close to three cases each year, a substantial number given the Court’s small yearly docket of between seventy and eighty cases for most of that period. But a quantitative inquiry tells only part of the story. It is particularly noteworthy that First Amendment claims grounded in expressive autonomy rights have not just been winning, but have been winning against—and requiring significant sacrifices of—other values that traditionally have enjoyed high esteem in our legal, social, and constitutional traditions, including the efficient functioning of labor unions, the protection of military honor and military families, antidiscrimination laws and norms, election and campaign finance regulation intended to make elections more free and fair, parental control over the upbringing of their children, and consumer protections, among others. Whether Williams-Yulee represents simply one exception to this great tide of free speech victories, or instead should be viewed as part of the beginning of a more balanced approach to free speech cases remains to be seen. There are at least two (and maybe more) other interesting and difficult free speech decisions yet to be decided this Term. The first is a case that considers the extent to which the First Amendment protects against prosecution individuals who utter words that cause objectively reasonable people to feel fear (Elonis v. U.S.), and the second is a case about how readily a State can discriminate among messages on personalized automobile license plates (Walker v. Texas Division, Sons of Confederate Veterans). It is possible that the free speech claimants in both of those cases (who assert plausible, if to my mind flawed, free speech arguments) will also lose. If that happens, commentators will begin to wonder whether the free speech juggernaut is indeed beginning to slow. As I noted above, the Court in Williams-Yulee applied strict scrutiny—which requires the government to prove that the law in question is narrowly tailored to serve a compelling interest—to the Florida election regulation. But, as Justice Scalia remarked in dissent, “[although the Court] purports to reach [its] destination by applying strict scrutiny, . . . it would be more accurate to say that it does so by applying the appearance of strict scrutiny.” In particular, the Court seemed quite tolerant of underinclusiveness in Florida’s scheme, whereas significant underinclusiveness usually prevents a statutory scheme from being considered “narrowly tailored” in the way that strict scrutiny dictates. Importantly, though, the Court did not cite to, or seem to insist upon, any proof by the State that these two types of solicitations were viewed differently by the public. Indeed, when the Court said that a State “may conclude,” it was using language most often associated with deferential review—where benefits-of-the-doubt about the real-world state of affairs are given to the government—not the language of truly strict scrutiny, in which the government must establish not just that its views are plausible, but that its views are grounded in actual fact. The seemingly generous implementation of strict scrutiny brings up another important facet of Williams-Yulee—its tension with the most relevant Supreme Court case in the realm of judicial election regulation. There is, as one of the Williams-Yulee opinions put it, “only [one] prior case concerning speech restrictions on a candidate for judicial office”—the 2002 case of Republican Party of Minnesota v. White. And in that case the Court (in striking down Minnesota’s judicial election regulation) applied a stricter version of strict scrutiny. In White five Justices used the First Amendment to strike down a Minnesota law that prohibited candidates for judicial office from speaking out on controversial issues of the day. The law at issue prohibited a candidate for elected judicial office from “announc[ing] his or her views on disputed legal or political issues.” The prohibition went beyond candidate “promises” and forbade, for example, a candidate from criticizing a past court decision and indicating a willingness to consider a different result in similar cases down the road. The tension between White and Williams-Yulee is clear. In the former, the State lost because it did not prove that campaign statements were “uniquely” destructive of the appearance of open-mindedness, but in the latter the State prevailed because it was allowed to “conclude” (without any proof) that personal solicitations “present markedly different” appearances to the public as compared to committee solicitations. Why Minnesota had to prove “unique” destruction of confidence whereas Florida could simply reasonably surmise “markedly different” problems of public perception is left unexplained. But my point here is not that Williams-Yulee’s result is wrong—only that its application of strict scrutiny is not very authentic and that its leniency contradicts the approach in White. How do we explain the tension between White and Williams-Yulee? The answer seems to rest largely on changes to the Court’s personnel. White was a 5-4 case, with the majority consisting of Chief Justice Rehnquist and Justices O’Connor, Scalia, Kennedy, and Thomas. The dissenters were Justices Stevens, Souter, Ginsburg, and Breyer. In Williams-Yulee, the remaining White dissenters (Ginsburg and Breyer) are (predictably) in the majority, and the remaining members of the White majority (Justices Scalia, Kennedy, and Thomas) are (predictably) in the dissent. Between White and Williams-Yulee, Justice Alito replaced Justice O’Connor, and voted the same way as we would have expected her to vote, and Justices Kagan and Sotomayor replaced Justices Stevens and Souter, and voted the same way as we would have expected them to vote. So far, so good—an even swap. But Chief Justice Roberts, who replaced Chief Justice Rehnquist, did not follow in the footsteps of his predecessor here. So what was a 5-4 majority in favor of the First Amendment claimant in White became in Williams-Yulee a 5-4 majority in favor of the State. Chief Justice Roberts apparently has a different view of judicial elections (and the extent to which First Amendment protections for election-related speech apply to them) than his mentor and former boss. Whether there is a broader divergence between Chief Justice Roberts and his predecessor in First Amendment cases is a question that might be worthy of more attention now that the Roberts Court is finishing its first decade. 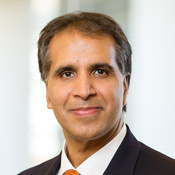 Vikram David Amar is the Iwan Foundation Professor of Law and the Dean at the University of Illinois College of Law. Previously, he served as the Associate Dean for Academic Affairs and Professor of Law at the University of California, Davis School of Law. He is a 1988 graduate of the Yale Law School and a former clerk to Justice Harry Blackmun. He is a co-author, along with William Cohen and Jonathan Varat, of a major constitutional law casebook, and a co-author of several volumes of the Wright & Miller treatise on federal practice and procedure. Before teaching, Professor Amar spent a few years at the firm of Gibson, Dunn & Crutcher.